Click for a larger view of this photo! If you use cloud-based machine monitoring or have been thinking about it due to the affordable cost of it, there is likely one big question on your mind: what happens to my data? What is the cost and what kind of commitment do I need to make? 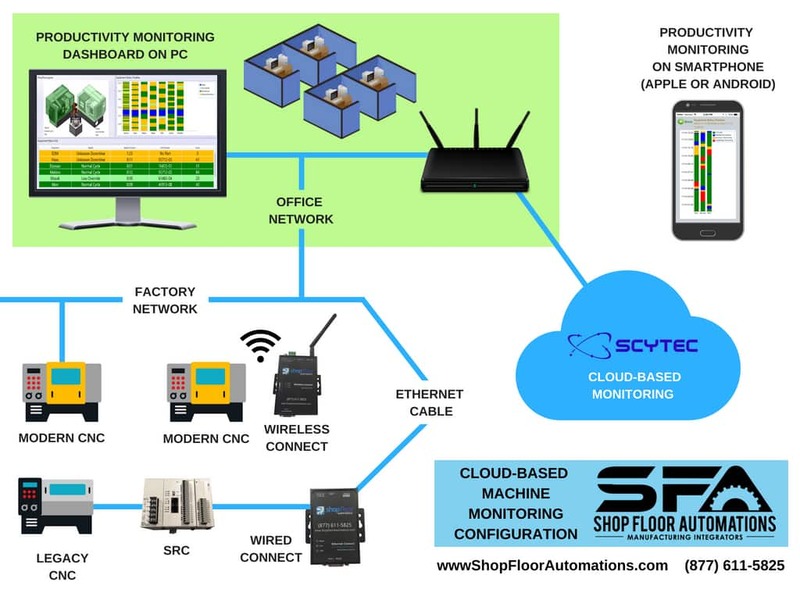 The $45 per machine, per month option from machine monitoring solution DataXchange has been a very attractive addition to many shop floors. The best part is that this monthly option does not require a long-term commitment, and it includes software updates, plus support. Paying as you go is a great option for customers to feel if at any time it is not working for them, they can try something else. It also allows them more financial freedom to invest money into other areas of their business, such as marketing or hiring more people to fill the manufacturing skills gap. I am uncomfortable with my data not being only on my company’s network. From the 2015 International Conference on Computational Science, a study on the sources of uncertainty in Cloud technology state that the biggest parameters of uncertainty are effective performance, bandwidth, available memory, and the number of processors available via the Cloud technology provider. DataXchange meets the demand of all these needs. The study also stated that Cloud tech which has load balancing and adaptive scheduling, and explaining these concepts in detail, can help those with uncertainty in committing to the Cloud. With DataXchange being developed from over 15 years of experience in creating OEE software solutions, they have thought ahead to meet consumer uncertainties when it comes to the valuable data of customers. A publication called Enterprise Tech also states that Global IT spending should increase close to 3 percent in 2017 – the projected $3.46 Trillion spent this year on worldwide IT is in part due to the Cloud infrastructure being so significant, as time goes by. What existing results are out there that can convince me to adopt Cloud monitoring? 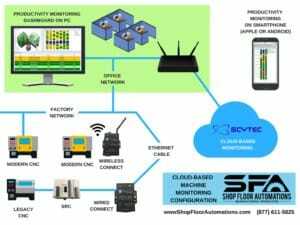 Shop Floor Automations has been a trusted reseller of Scytec’s cloud-based machine monitoring through DataXchange for years. You can read this case study about how one manufacturer used DataXchange through Shop Floor Automations for a 10 percent efficiency increase in just over two years. Cloud-based machine monitoring has helped many of our customers. One such manufacturer has even been able to run their existing five-axis CNC machines for 24 hours at a time at increased productivity, rather than feeling the need to invest in more machines to achieve their production goals. That definitely speaks to the trust of this Cloud-based program! If you are interested in learning more about cloud-based machine monitoring, or any kind of machine monitoring software, please contact us today! We are available at (877) 611-5825 or you can reach us via this website’s chat function, as well as on social media.